If you are in need of commercial electrical repairs, Kronos Electrical can assist you with all of your electrical repair needs. We offer fixed pricing and a 10 year warranty on all services we provide, allowing your business to know upfront what the cost of your repairs will be. Our electricians work hard to turn first time customers into lifelong customers. 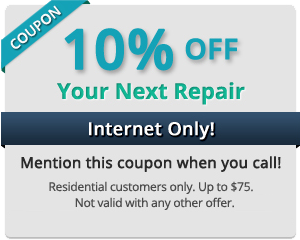 They do this by providing the highest quality electrical work alongside excellent customer service. This is just a small list of the services we provide. If you have a commercial electrical repair that you have questions about, contact us today, we can help get your commercial buildings electrical back up and running smoothly. Kronos Electrical works hard to gain our customers trust and we do this in many ways, including our flat fee pricing. We charge per job rather than on labor hours, this means no matter how long it takes our electricians to complete a job, you will only pay what is quoted for that specific electrical work. There will be no surprises or hidden fees to contend with. We believe by providing competitive flat fee pricing, we are providing you with the best quality service, whilst gaining your trust. Why Choose Kronos Electrical for Your Commercial Electrical Repairs? At Kronos Electrical, we have worked hard in the past 10 years to build a strong reputation amongst both commercial building owners and home owners. We have achieved this by providing our customers with highly skilled electricians that deliver quality service at affordable prices. Our 10 year warranty on parts and labor, helps our customers know that the job will be done properly, and if it is not they will receive their money back and any work will be fixed. If you are in need of commercial electrical repair services, contact the experts at Kronos Electrical today for a free, no-obligation electrical repair estimate today. Call us at 416.579.1707 or fill out a contact form to get started!